Last week, our CEO Andre Wegner attended the Farnborough Airshow. What was presented there represented the very cutting edge of the aerospace industry, contributing to a record-breaking $192B in orders, and what happened behind closed doors was even more exciting. 3D printing featured prominently within its halls, as the technology was shown employed to optimize both the performance of the parts it redesigned and the design/production process itself. The industry is renowned for its tight certification specifications, and this is one of the topics that are closer to the heart of those players who want to be held as trend leaders. 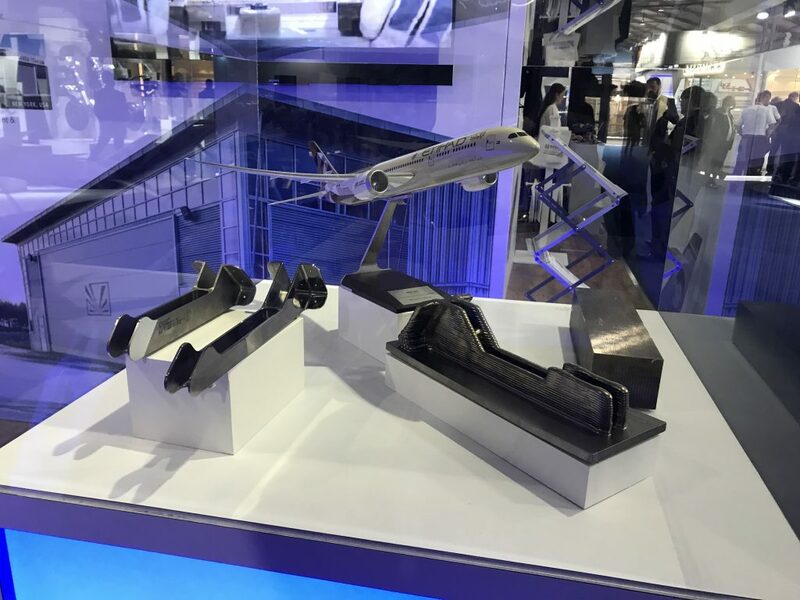 The event was the perfect opportunity for companies and collaborations to show their latest 3D printed aircraft parts, like the Norsk Titanium/Pratt & Whitney integrally bladed rotor (IBR) among many others. What are most interesting, however, are the deals and collaborations that have been announced coming from the airshow. An MoU between Oerlikon and RUAD on the development of space components, printers’ deals and material development contracts between GE Additive and Eaton and AP&C, represents just a fraction of the movement the 3D printing industry is displaying. As a high-value, and heavily standardized industry, certification of course is one of the main preoccupations when considering 3D printing in aerospace. In conversations with steel manufacturer and distributor Carpenter Technology, Rapid Plasma Deposition (RPD) company Norsk Titanium and Boeing Horizon X beneficiary Morf3D, I explore this topic a little deeper to underline a picture of the technology’s progress in this heavyweight industry. Norsk Titanium, an aerospace additive manufacturing company with headquarters in Norway, alongside a team of aerospace industry specialists, have collaborated to create and test the first additive manufactured integrally bladed rotor (IBR) used within turbine engines. The University of Notre Dame Turbomachinery Laboratory (NDTL), Pratt & Whitney and TURBOCAM International are included in the industry team. “We are excited to collaborate on these manufacturing and testing efforts and applications for future engine development,” said Dave Carter, Senior Vice President, Engineering, at Pratt & Whitney. Oerlikon and RUAG Space have signed a Memorandum of Understanding today during the Farnborough Airshow to qualify and accelerate series production of 3D printed space components. Oerlikon and RUAG Space are already working together on the qualification of a bracket that would be installed on a payload fairing. A new optimised design made possible through additive manufacturing will reduce costs by 25% and decrease weight by more than 50%, while doubling the stiffness of the bracket. The collaboration on the bracket exemplifies the companies’ strong partnership, which will be deepened further through this initiative.